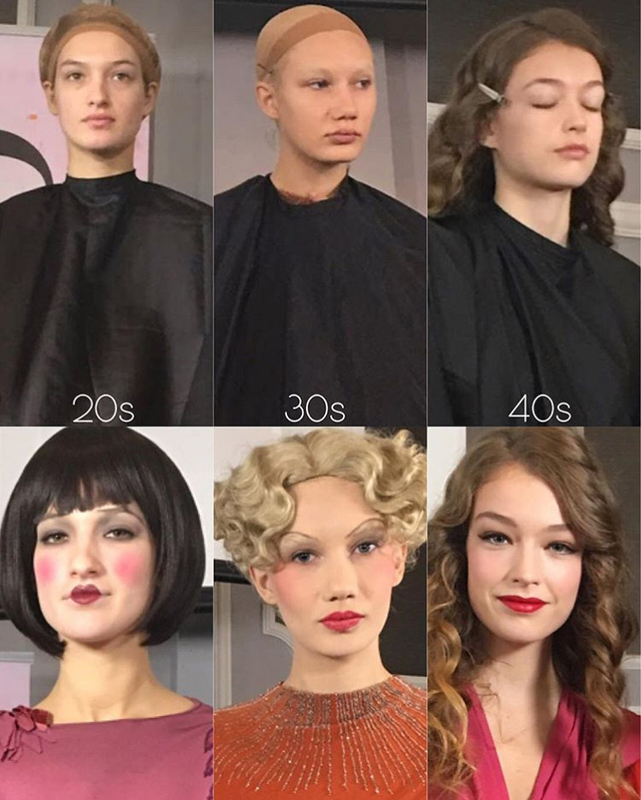 Along with two of my colleagues, Chris Milone and Jessica Padilla, I taught a class entitled “What Vintage Is This?” where we covered the history of makeup and the specific looks of the 1920’s, 30’s and 40’s. We covered the history of each decade, how that influenced what makeup was used and how, and how the technology of film changed how makeup was applied, as well as the specific look of each decade. 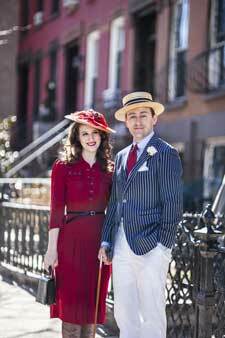 The 20’s and 30’s especially tend to be lumped together, and Chris and Jessica did a great job differentiating the look of each decade, and I covered the 1940’s. 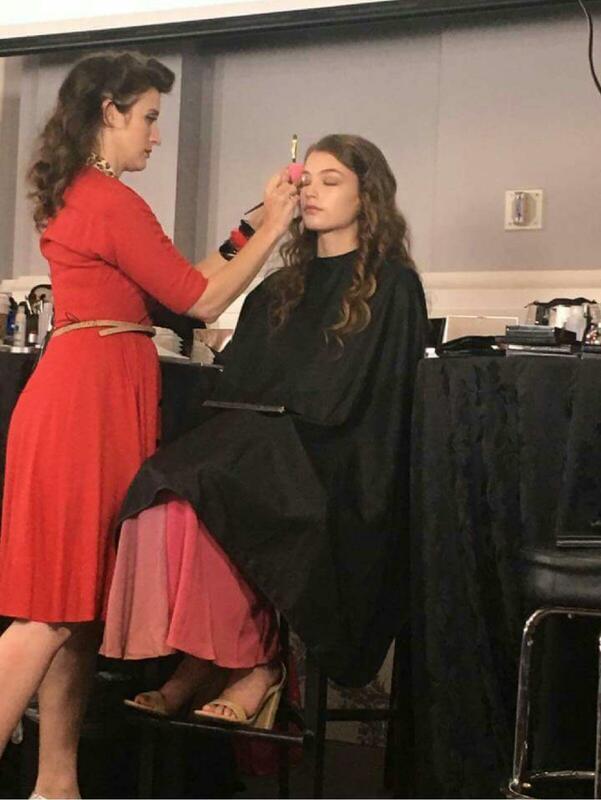 My favorite moment was at the end of the presentation when the models put on their wigs, and we removed the makeup capes to reveal the beautiful and period appropriate dresses they had on underneath so the audience could see how the makeup was part of the entire look. We were so gratified by the wonderful response from the students and the other instructors there, all of whom said they thoroughly enjoyed the presentation from start to finish! You can find out more info about CLASS: Where the Masters Teach here. It is an event geared towards makeup artists but if you love makeup, it is worth attending. The lineup of teachers is full of legendary artists that are worth seeing. The tickets are already on sale for next year and we will be teaching the looks of the 50s, 60s and 70s! Before and after of each model so you can see the transformation! 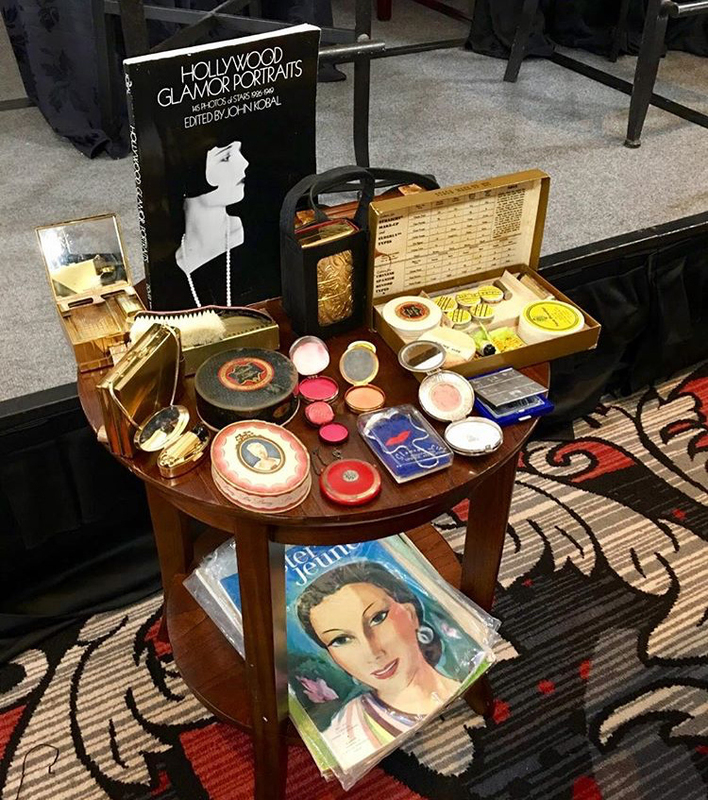 We brought a variety of vintage makeup and compacts, as well as books and magazines (ie a “mini-museum”) so students could see what makeup was used during these eras! Hi, my name is Michelle, and I'm a makeup artist fascinated with vintage beauty and fashion, mostly from the 1920's, 30's, 40's and 50's. I created My Vintage Love as a place for lovers of all things vintage to learn more about vintage beauty and fashion, and to get a peek into the NYC vintage events I participate in. Please enjoy exploring My Vintage Love! Enter your email address for new post alerts!